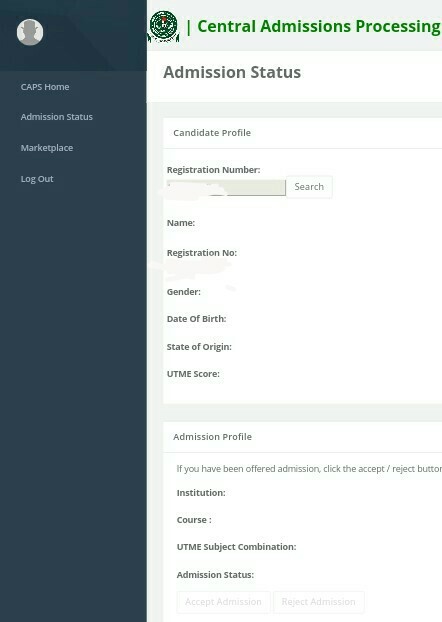 The Joint Admission Matriculation Board (JAMB) CAPS admission status has given a lot of students hard time to check so in this tutorial i will be listing out the best steps to check the 2018/2019 admission status but before i proceed i will tell you what CAPS is. CAPS simply means the Central Admission Processing System, it was formed by Jamb during the 2017/2018 session to reduced the corruption in admission process and also make it more faster. 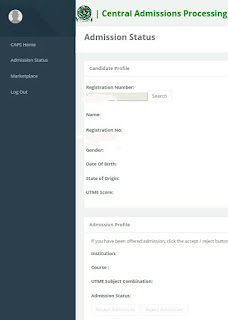 After following this you will see a a page showing your jamb score and also your status if you are admitted just click on accept button but if you don't want the course you can also click the reject button.